Playing dart is fun with family and friends. This is the game that includes everyone in it easily. It’s required competitive skill and focus that make this game more excited. That’s the way of buying dart is interesting too. Because it is really fun when the family is gathered and going outside. So here question aries simple dartboard is a batter or electronics dart board. The answer is it totally depends on your interest and personal taste. Whereas electronic dartboard has many options. Lights of electronics dart board also make it more attractive. You can also get plenty of options in electronic dartboards. In the world of electronics dartboard, Arachnid board has a big name. 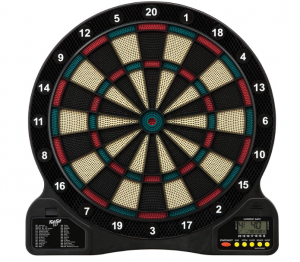 This board is synonymous with high-quality electronics board that makes this dartboard more reliable and enjoyable with its different options. Different players can play with this dartboard different games. This dartboard is a professional level dartboard. But players can select a different mode of playing in this dartboard. This dartboard is suitable for kids and adults. With this dartboard, you can play 39 different games with 179 different variations. The total dimension of this dartboard is 15.5 inches. The large view gives a player clear view for exact hit target. This dart board also offers 3 different levels of playing games. So you can play newbies, beginner, and expert level games with this dartboard. Its nylon though segments help to improve its durability. This dart board also has volume control and space for dart storage in it. Also comes with 1-year guarantee against defects. 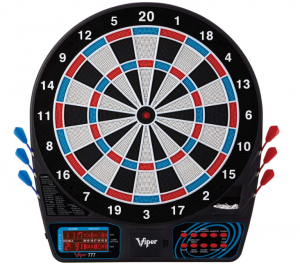 Viper 777 is another options when you are going to shop some electronic dartboard to play different games with your family friends. 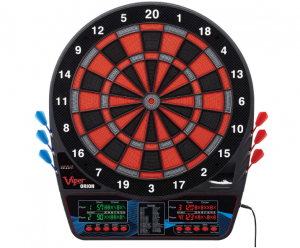 The Viper 777 dartboard is the best durable dartboard for newbies and expert level players. It’s 15.5 inches target face and crystal clear LCD make this dartboard more appealing to players. You can easily track your score with its big screen score counting LCD. 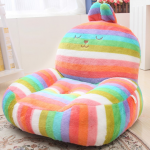 Its ultra-thin feature reduces the bounce outs. So you cannot miss any target with this dartboard. This dartboard also has a miss dart catcher ring that can save your beautiful walls. Also has a place holder for soft darts. This electronic dartboard comes with 43 games and 230 options. This set includes six soft darts that make this game more and more easy. 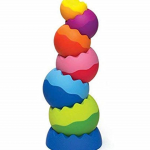 Eight players can play this game because of its big size every shoot can be seen easily. You can also select different options with its front buttons. Different skill level players can play this game easily with their own settings. Perfect indoor and outdoor play with some family and friends. 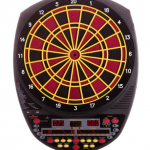 Fat Cat 727 electronic dartboard is perfect for weekend entertainment. 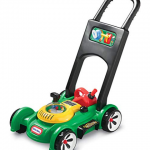 Works with 3 AA size batteries so you don’t need any extra Ac adapter to operate this that’s the way you can bring this for outdoor play easily. This dartboard also comes with catch rings. So you can easily hang this dartboard with catch rings and protect your wall. Only soft dart recommended for this dartboard. You can also choose this as gift dartboard for kids because of its size. Kids really enjoy this game, this dartboard has 13 inches target face with 18 different games and 96 different options. Free dart and game manual help beginner to understand the game rules. The overall performance of this dartboard is very impressive. Work well for almost all ages kids and adults. Price of this electronic dartboard is also not very high. You can say that the good value of money product that gives you healthy activity indoor as well as outdoor. Enjoy more and play more with this electronic dartboard. This dartboard comes with 12 darts of two different colors. LCD of this dartboard show entire cricket team score of each game. 8 players can easily play the game on this dartboard. Perfect entertainment for all home and family members. 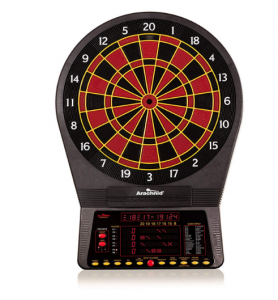 It’s 27 different games and 216 unique variations make this electronic dartboard more interesting and entertaining for its players. Both battery and AC adapter option available in this dartboard. 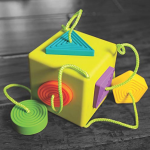 Perfect for indoor and outdoor play for all age groups kids adults both can enjoy this game. Durable and longlasting dartboard with a low price tag. People that have a tight budget can also buy this electronic dartboard easily. Its sleep mode turns this dartboard off after 10 minutes so you can easily save your energy. You can easily turn your room into a gaming zone with this dartboard game. 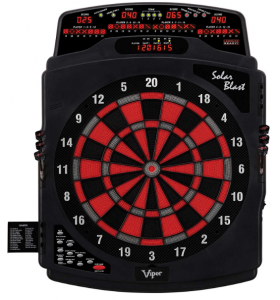 Solar blast electronic dartboard with 15.5 inches target face. This dartboard has many different things first things it its different design which make it different from other dartboards. Second, this dartboard has extra space to put many darts. 2 sets of dartboard already includes but you can place extra dart. 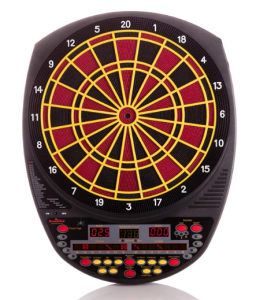 This electronic dartboard has 43 games with 187 different options to play and 16 players can play games with this dartboard. It means the whole family members can be amused with this dartboard at once. Its large catch ring protection also protects your wall from missing throws. Its extra bright view can give you the accurate clear result of every hit and gives you an accurate score for every cricket game. Both batteries and AC adapter works with this dartboard. 6 Soft tip starter darts include. Its different design, clear display, easy interface design, and different games mode make this electronic dartboard more special. Now you can control your dartboard with the Bluetooth operation. This dartboard can be controlled by Bluetooth connection and android version. So you can play different games with this dartboard and collect data on your mobile easily. With this dartboard, you can watch every result o your mobile screen. Just install the app in your mobile connection with your electronic dartboard and here you go. This dart board has completely wireless connections that make is an idea for any location. You can easily bring this with your picnic point and enjoy the game with your family and friends. Two AA size batteries needed to turn this electronic dartboard on and after that you can connect it with your mobile app or Bluetooth and watch all score on your mobile screen. Price of this electronic dartboard is a little bit high as compared to another dartboard in this list. All other things are perfect. Whenever you are going to buy a dartboard for your office or the home first thing that keep in your mind the quality of dartboard. This talking electronic dartboard perfect for its durability. Best for entertaining at your stress. 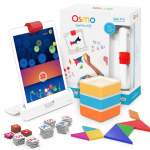 This cool game features with 48 games with quick touch selection of 301. This electronic dartboard is suitable for 4 to 8 players at once. Players can also select their own mode of playing single in/out, double, and solo playing. This dartboard is also optional 3 different level heckler that make this dartboard more interesting for the player. Comes with almost all type of accessories. 6 darts come with this dartboard, AC adapter and instruction manual for newbies. 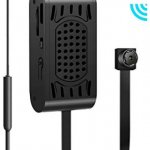 Its countless feature with a simple design makes it a perfect choice for all level of players. Scoring of this dartboard is also its plus point because it can count score perfectly. Another best electronic dartboard for entertainment. This dartboard has ultra thin spider that reduce bounce outs to great extend. Player can easily play different group games with this dartboard. This dartboard also featuring with 32 games and 300 plus options that make this more interesting. 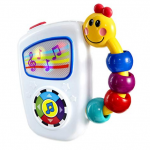 Bright colors LCD that gives you clear view of scoring. 8 players can easily play with this dartboard. Eliminating manual score keeping and handicap scoring options. With these options each player can measure their performance individually. 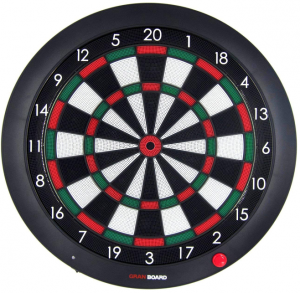 Players can also set different level of games with this dartboard. 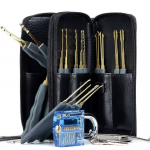 Set includes 6 soft tip darts and works with 5 volts AC adapter. You can also replace AC adapter with batteries so you can easily play with this electronic dartboard on outdoor picnic and make your family gathering more interesting. Price of this electronic dartboard is also less than 100. So if you are looking for some best electronic dartboard less than $100 then this one is for you. Q: How many players can play this game? A: It depends on players up to 16 players can play this game. Different electronic dartboard also provides a different number of players. So you can also check how many players can play with the electronic dartboard that you have. Q: Are Power source and sound effect in electronic dartboard? A: Sound effect much on playing with an electronic dartboard. Players can call out who is playing now. So LCD can score the next player score on the LCD display. Both batteries and Ac adapter power source available in many models of electronics dartboard. Q: How many types of dartboard? A: Five type of dartboard available in the market bristle dartboard that is common and standard board available in the market. Second electronic dartboard that has soft tip darts. 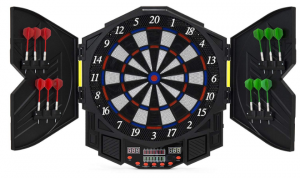 These electronics dartboard can count score and you can also play multiple games with this dartboard. Coil paper dartboard that is also cheaper but they are not durable. Wooden dartboard also an option. Cork dartboards are also typed of dartboards that is available in the market. Q: What is cricket darts game? A: It is basically a game between two players that make their two different teams and they play against each other. In the cricket dart game 20, 19, 18, 17, 16, and 15 number are played. All other of inner and outer number leave in this game. Q: What is the dartboard height? A: Height of dartboard is 5 feet and 8 inches according to standard rule. But you can adjust it if kids are playing. Q: What would be the distance from the front of the dartboard? A: Different distance would be maintained for different darts. If you are using steel darts you distance would be 7 feet and 9.5 inches, where as for soft tip is would be 8 feet from the dartboard.